Did you dominate your league this year? 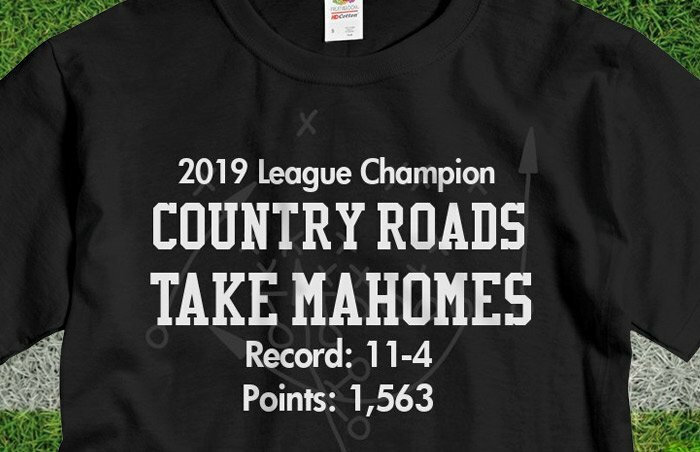 Check out our selection of Fantasy Football Champion Shirts. Customize it and add all of your favorite details. Your league record. How many points you scored. And of course, your team name. Do you want to ridicule your friend who finished in last place? 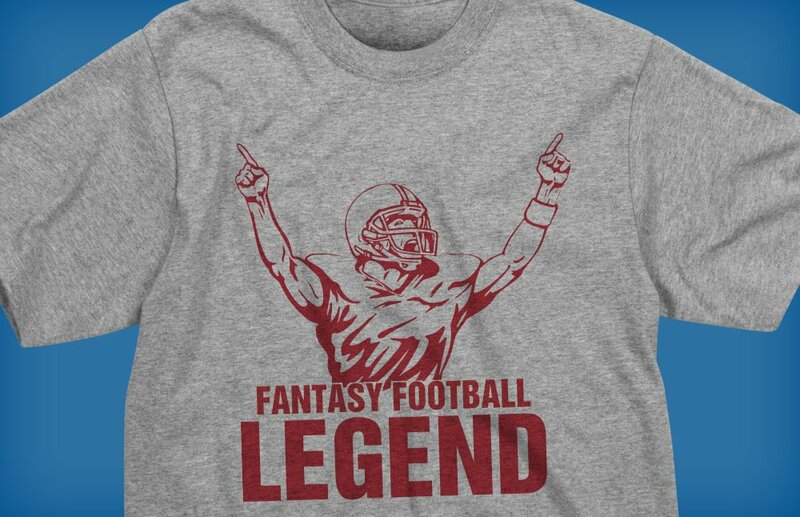 Just force them to wear one of these Fantasy Football Loser Shirts. Add their team name to make it extra personal and that much more devastating. C'mon. They do a thankless job. It's time to give them a nice, personalized gift to finally say thanks. 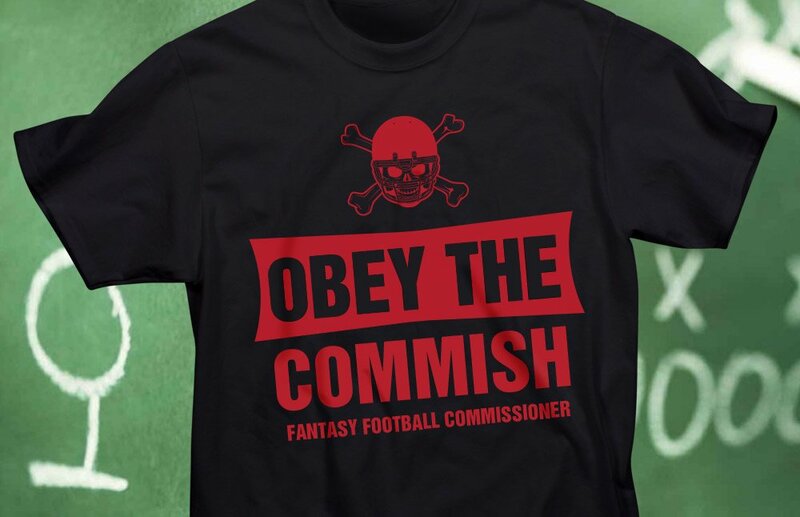 See our Fantasy Football Commish Shirts here. 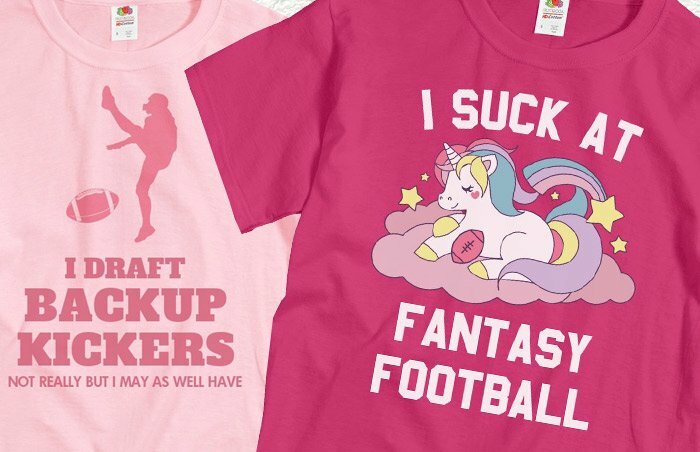 Insteading of wearing the shirt of your favorite NFL team, wear something even more unique: a tee featuring your Fantasy Football Team. 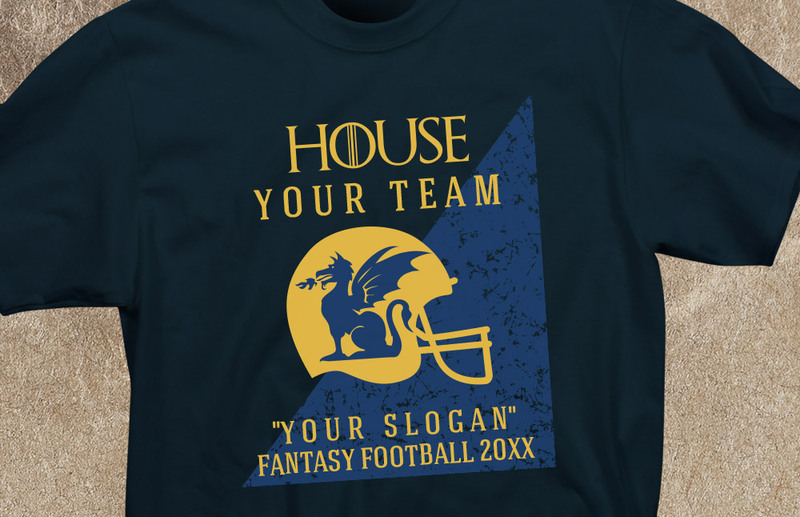 Or, if you're loyal and proud of your league, consider a Fantasy Football League Name Shirt.